If you want to stay updated on all the Sundried news, when the premium activewear apparel will be officially released or simply know more about their ethos, visit the site or the facebook page. Happy Weekend to you too Lilli; lovely work-out gear. Ho sempre evitato di portare occhiali da sole con me in giro per correre, per una questione di incomodità.. Chissà questi magari sono progettati apposta.. Tra l'altro sono molto belli! Ciao Lilli. Effettivamente questi occhiali sono perfetti per chi, come te, si dedicata all 'attività fisica all'aperto. Ti stanno anche molto bene. Un bacio e buon weekend. che bello questo completo sportivi e bellissimi gli occhiali! Carinissimi questi occhiali e che aria sportivaaaa!! Un bacione e buon weekend! F.
Lovely weekend, Lilli! You rock! This sounds like a fantastic eyewear line for active people and your sunglasses look really chic and well made Lilli! Thanks for the intro to this brand! Have a lovely weekend! Lilli, I want a body like yours! HaHaHa You are so fit! Love your workout wear and glasses. Amazing Sunglasses, i love the Shade! sport is a very import part of my like and I also running very much like you. I always try to wear good and stylish sportswear. Looking stylish at sport means more fun for my. ;) Tou look amazing athletics deer Liili and the Sportwear fits you perfect. I'm looking forward for launching Sundried next year. As you know by now, I love working out and thank you for the recommendation of this new brand, Lilli, I'll go and check them out. Btw, you look so fit! I'm jealous! LOL! Bellissima in versione sportiva Lilli...che belli gli occhiali. Che bel look cara! Un bacione. Lilli sei in formissima, bella in versione sporty e poi adoro gli occhiali! Stai benissimo! Sono davvero molto molto carini!! Wow... che forma smagliante Lilli!!! Wow Lilli, you are so sporty. These sun glasses looks fabulous and really great for outdoors. Good thing they were tested by athletes themselves. Have a wonderful weekend! 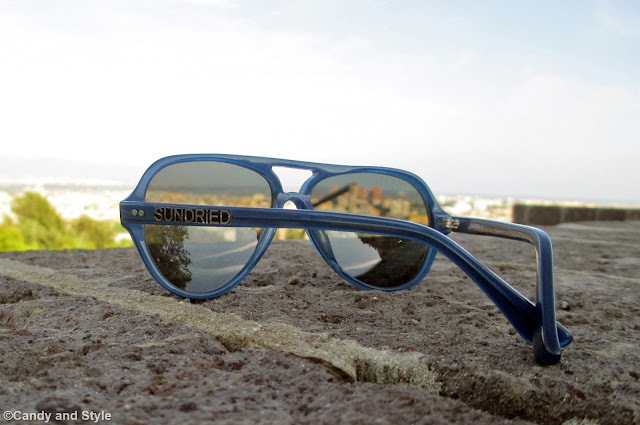 Great sunnies to exercise with. Have a great weekend! Nice pictures Lilli about your training day, nice sunglasses, love the new brand, have a happy weekend!!! Hi Lilli but took months away from the sport routines ever wanted to know about news, I loved those glasses and you're spectacular! Kisses. complimenti per l'alenamento!! fa bene sia alla mente che al fisico!